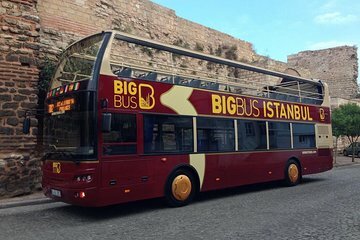 Bare hopp ombord på den åpne, to-decker Big Bus sightseeing-bussen og sett ut for å oppleve severdighetene i Istanbul, en av verdens mest spennende byer. 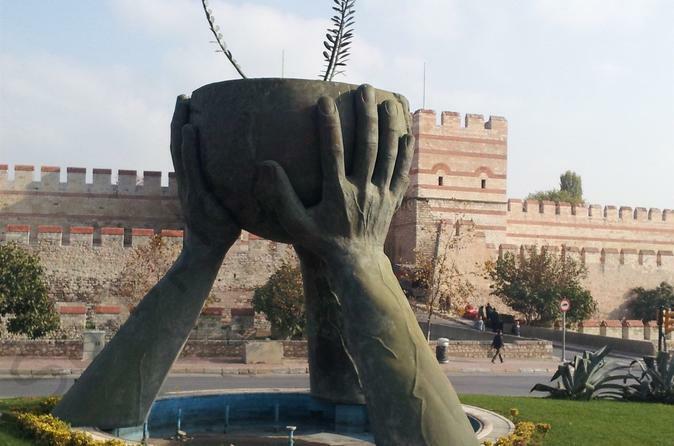 Straddling Europa og Asia, Istanbul er fulle av UNESCO-listede skatter og historiske steder som vitner om sine dager under romersk, bysantinsk og osmannisk regel. Legg til i fargerike basarer, landsbylignende nabolag og vannfronter langs Bosporus-strøkene, og det er en overflod av must-sees og attraksjoner for besøkende å utforske. Når du er klar, hopp av på noen av stoppene for å se på deg når du er på ferie. Kanskje gå av for å besøke den spektakulære Hagia Sophia - den gamle UNESCO-listede showstopperen som fungerte som en osmansk moské og en kristen basilika - eller det utsmykket Topkapi-palasset, de osmanske sultanses residens i mer enn 400 år. Eller kanskje forlate bussen for å bevege seg rundt den egyptiske basarens aromatiske boder (Spice Bazaar), besøke det overdådige Dolmabahçe-palasset eller suge opp buzzen på Taksim Square. Dette er bare en håndfull av de mange tingene du kan se og gjøre ved å bruke 1, 2 eller 3 dagers pass på hop-on hop-off Big Bus-turen. Som en ekstra bonus, vil du også nyte en Bosphorus River sightseeing cruise og oppføring for å velge attraksjoner. The tour was great...the buses were timely even with the traffic. My only suggestions is for them to include discounts and offers to sights and attraction. This will give the tour more value for money. Friendly staff. I got to see all the main attractions. A good value and a great way to get around the city however, I was unable to visit the Greek Patriarchate because the bus had entered the off-season schedule. It's not their fault per se, but I was still disappointed. My friends warned me not to buy this bus service, but I decided to check for myself. I made a mistake. Horrible experience for 120. I bought tickets for my parents and I for 2 days and we spent most of the time in the traffic jam. Overall, it is a Very disappointing service with a lot of disadvantages. The Routs and the stops are not the best. The intervals between the busses are not 15-20 minutes as usual, but an hour. If you will miss your bus, be ready to wait for an hour until the next one. Also the bus stops running at 4. On the second day we got of at our first stop and walked around. By the time we wanted to board the bus again it was after 4 and the last one already left. So, I totally wasted my money. Don't make my mistake. Walk around yourself and use public transportation. Great time on the Big Bus - We got to see both sides of Istanbul and how diverse and amazing the city is. I can't wait to return and continue exploring ancient beautiful Istanbul! We use hop on hop off buses in all countries. It is a wonderful idea. I am just afraid it is not that good idea in Istanbul because of heavy traffic. Just what you need to see the city in just one day! It's not cheap, but in a place where just a few people speak english is highly recommended! All the major monuments and places are here! Absolutely practical!